So, when did football begin in Fivemiletown? The short answer is no one really knows, I have found evidence going back almost a 130 years but I am sure there is more to find taking it back at least another couple of years. There have been football clubs of some sort or another (Rugby, GAA, Soccer) for a very long time, they always start with great enthusiasm and passion but unfortunately many fizzle out after a short time, some don’t even get off the ground. But there are still a lot of clubs that have been around for well over 100 years, Linfield (1886), Glentoran (1882), Cliftonville (1879) to name just a few of the bigger ones in Northern Ireland. These bigger clubs have grown because of their success and consequently have a good fan base. This alone does not guarantee longevity, you need good management on and off the pitch but it does help to push their respective clubs forward each season. For the smaller clubs around the country it can be much harder to keep going, not because of the lack of enthusiasm or the lack of a good pitch, no, it is, I’m sad to say, purely down to money. Trying to scrape together a few quid for some decent balls, replacing old worn kit, paying for the referee or simply to pay for the pitch hire, it all costs money and in this day and age, nothing comes free. Sadly it’s getting more and more difficult in each year that passes. So for any club, especially at the grassroots level, to survive is great but to survive for over 100 years is cause for celebration. 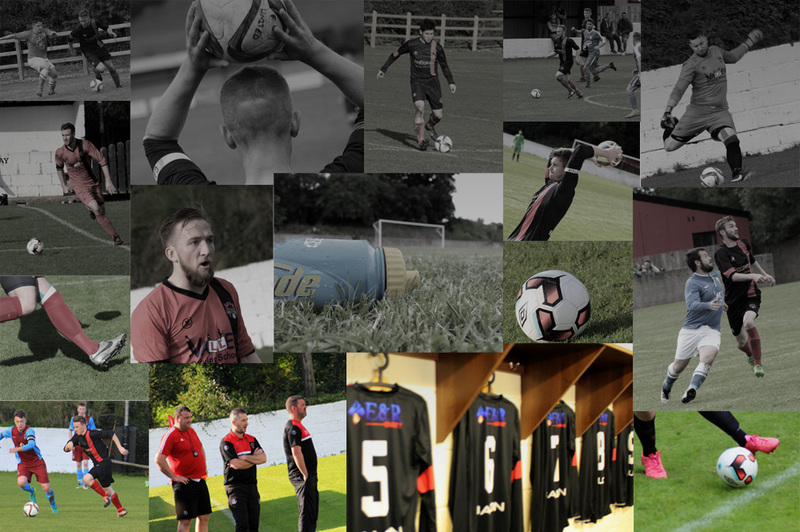 Fivemiletown United Football Club is one of those lucky clubs and in 2018 will have been in existence for 130 years. 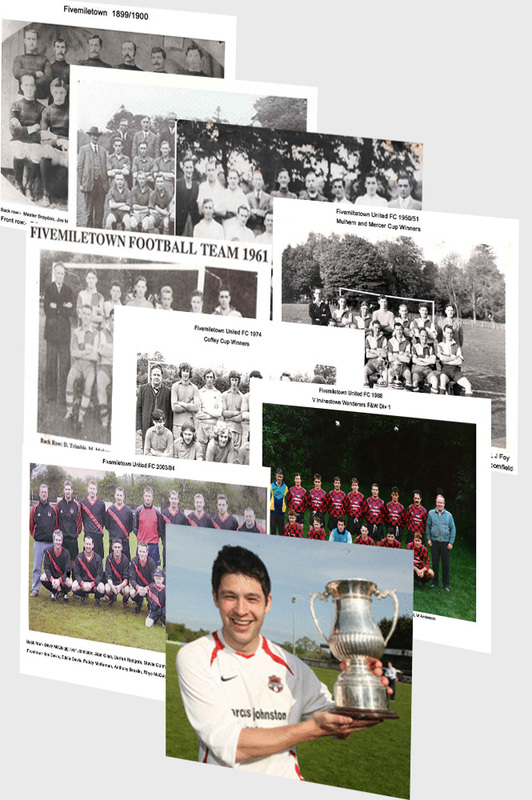 Fivemiletown has been playing football under several titles, Fivemiletown Blues, Fivemiletown Greens, Fivemiletown Comrades, Fivemiletown Athletic, Fivemiletown Strollers even Valley United and of course, Fivemiletown United as we know them today, but in the early years, it was just Fivemiletown. And as far as I know there has only been one Football Club in Fivemiletown, they just seemed to have been called different names for different competitions, I have no idea why. I have been reliably informed that back in the day, IFA rules stated that a team registered in a winter league was not allowed to enter a summer competition under the same name. Hence the many different team names. There are several gaps in my research, I know some of these gaps can be put down to outside interruptions, mainly a war somewhere in the world but not all these gaps can be accounted for, although I am confident there was football being played in and around Fivemiletown I cannot find anything to suggest they entered any leagues or cups so must assume an actual club wasn’t formed during these periods but like I said earlier my research has a long way to go and I might come across something to fill in the gaps at some stage in the future. The information that had been sourced, which was on the old club website, covered mainly Cup wins throughout the years and a few team photos the earliest from the 1930s but what caught my attention was the first chapter, now, on all the clubs documents and badges it has the year of being established as 1898 yet in the first chapter it says “The first recorded football match involving a Fivemiletown team occurred in April 1888” that is a discrepancy of 10 years, so why have 1898? This is something that I wanted to investigate, find out if there was evidence of football in the town and if so was it just a kick about or was it a properly organised club. It's an ongoing project and will be updated, edited and expanded whenever I get the chance and of course the information. I hope you find this site interesting and informative and you enjoy travelling back through the years of this great club. Feedback is always welcome, good or not, contact information below.